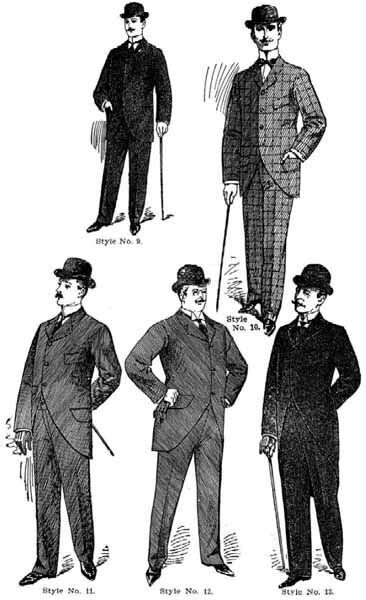 Just like today, various styles exist during any given year of the 1890's. While menswear remained steady with tall collars the women's clothes took a radical turn around 1985 & 86 with giant puffy shoulders. Men's suit remained steady over the last decade. 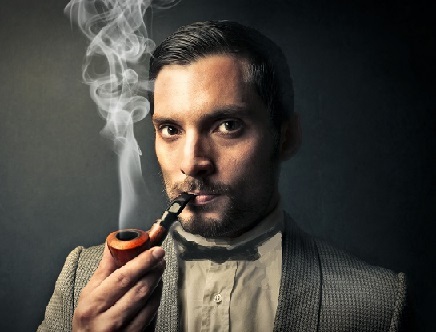 This picture gives a good concept of mens wear for the entire decade. The suites curved back, unless you chose a double breasted suit which was more old fashion. Vests were usually worn, but not always. Collars were worn tall and straight up or creased into a V for a bit more comfort. Ties differentiated the gentlemen. Bow ties, neck ties, fanciful and relaxed cravats were all acceptable throughout the decade. 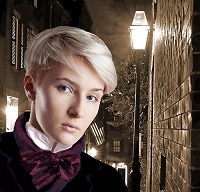 Vic always chose fanciful neckwear to help hide his lack of a prominent Adam's apple. Xavier prefers a narrow bow tie. Both Vic and Xavier prefer dark colors that hide dirt. Hats were another selection item to set a fellow apart. Vic nor Xavier wore hats unless it was raining. 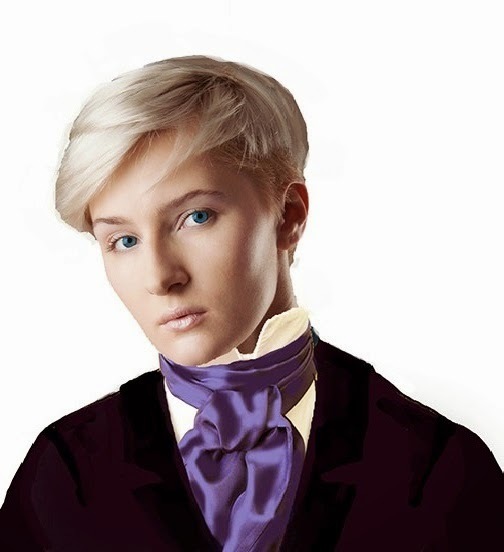 However, style changed dramatically for the women. Sleeves went from skinny to gigantic back to skinny. Claire is so small that she would have gone for this dress and it's lovely royal purple color. 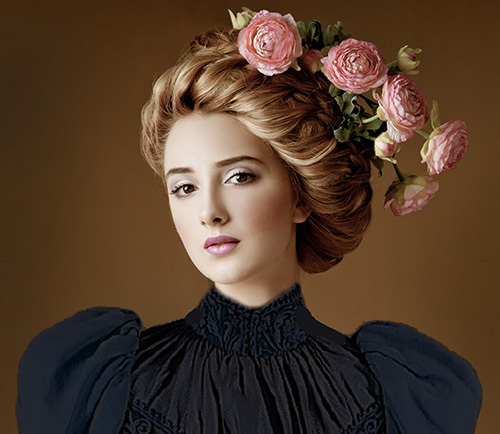 Claire much prefers the styles of 1895. She feels far more substantial and in control. And my what big shoulders she had. 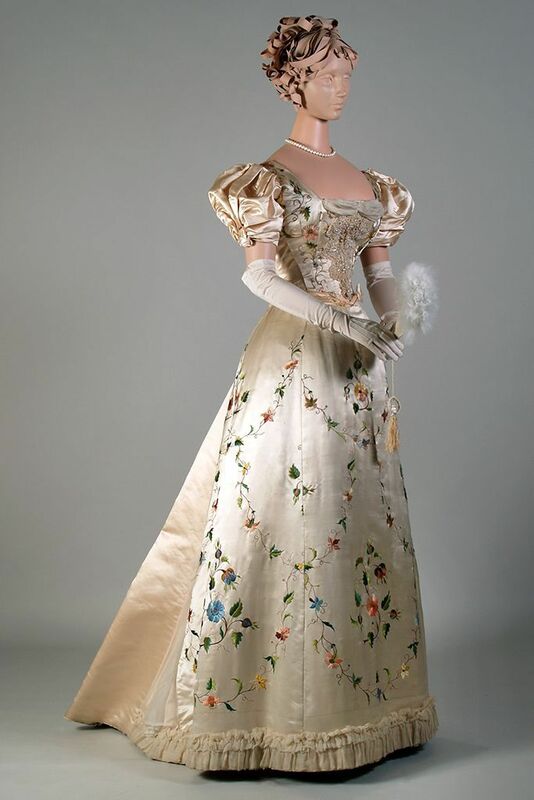 Here's an evening dress she had made, although why, I don't know. The only time she goes out at night is if there is a lecture, and this dress would not be suitable for that. Society has yet to forgive her for marrying a dentist. Egads! To be honest, Claire never went extreme with the giant shoulders because she is so dainty and petite. 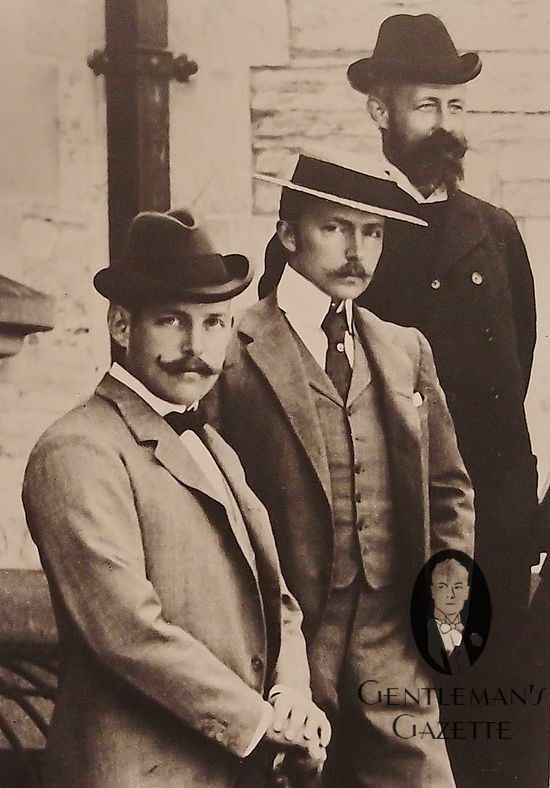 However, the shoulders grew out of control in 1896. 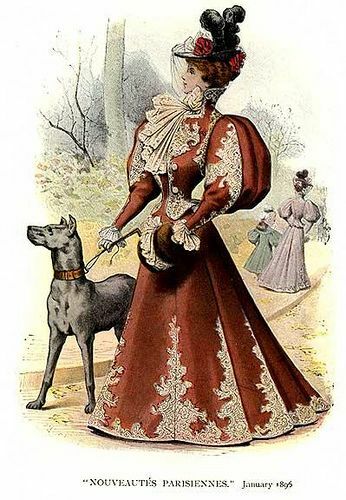 By 1897, the sleeve's returned to sanity. Claire had both of these dressed made for her. 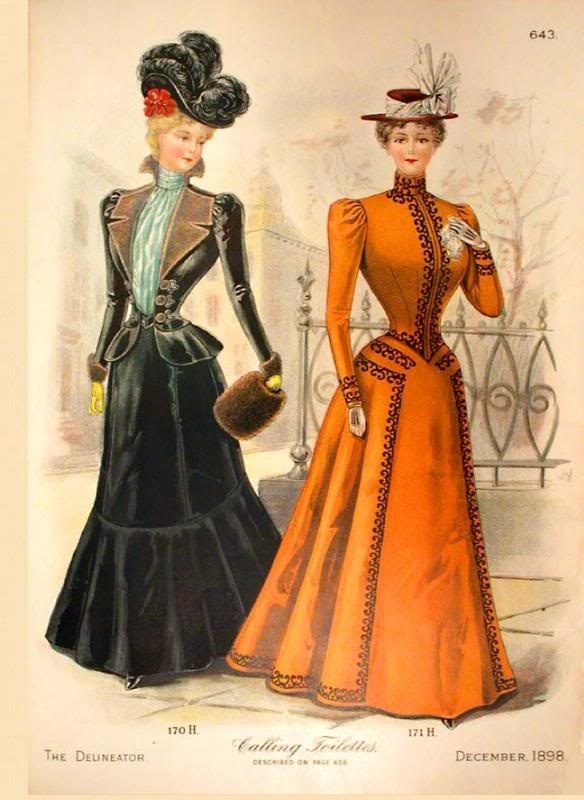 By 1898, the sleeves slim even further, honestly making it hard to tell the difference from an 1890 and 1898 dress. 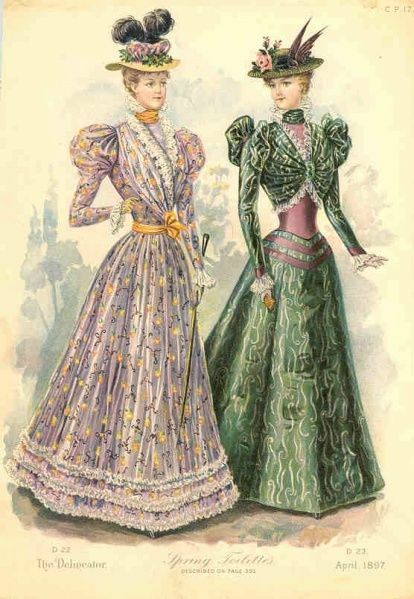 However, the bustle has slimmed considerable, so you would be able to tell in real life. 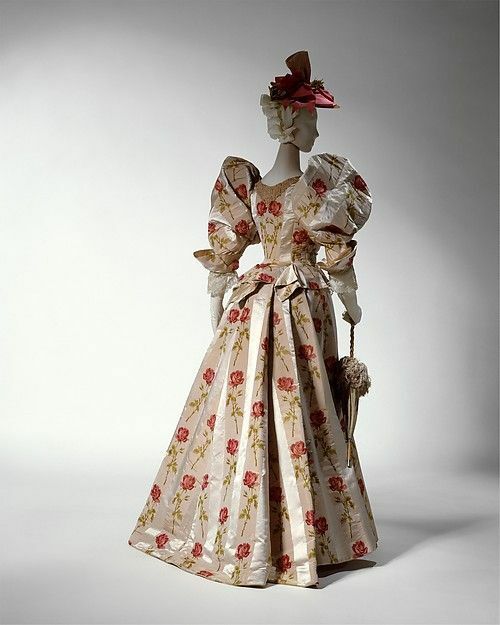 By 1899, the style has begun to softened into what I consider to be the prettiest clothes in all of history. 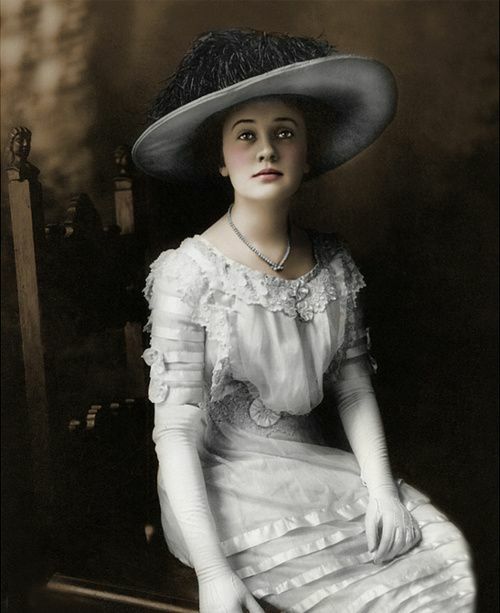 The Edwardian style. I can't wait to dress up everyone into that fashion. Haven't joined The Adventures of Xavier & Vic? 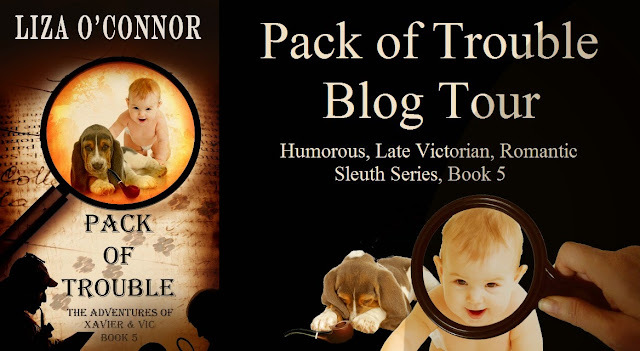 Jump into my addictive sleuth series at one!